Term insurance is a type of life insurance plan which provides coverage for a certain term, the term is generally fixed and predefined say 10 years, 20 years 35 years, etc. 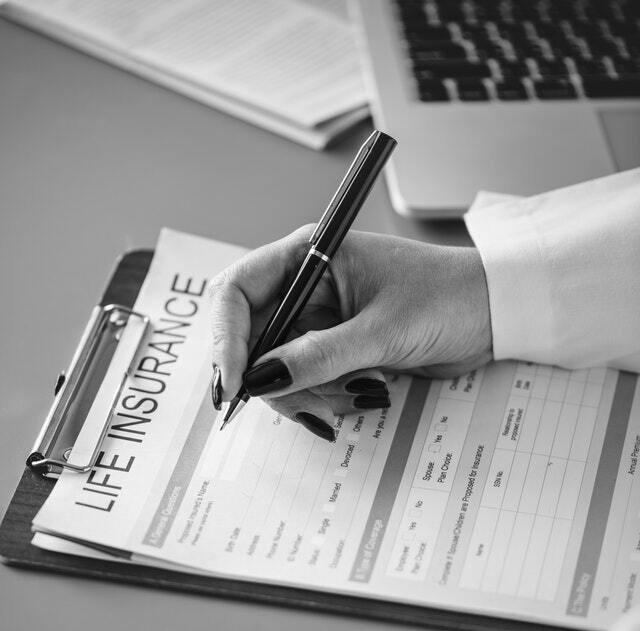 If the insured dies during the time period specified in the policy and then a death benefit will be paid to the nominee who is mentioned by the insured during the time of purchasing the policy. So if nothing happens to the person insured during the insurance period is anything paid at the end of the term? No. Nothing is paid if nothing unfortunate happens to the insured during the term of the policy. Well, we say that’s awesome isn’t it, as they say, “जान है तो जहान है” (which means in English – Only if you are alive, things matter). Though there are some plans which offer returns to premium benefit to the insured if nothing unfortunate happens during the insurance period. In case of a rider, one can opt for a return of premium rider. So why do people buy Term Plans? Benefits associated with term insurance plans. Term plans are cheaper compared to traditional endowment plans as they are pure insurance plans and do not have any investments associated with them. Term plans are simple to understand as they don’t have investments associated with it. Also, you get Tax benefits under section 80C for premiums paid for term insurance plans. If you buy term plans online the premium is less compared to the offline plan. If you opt for a term insurance plan at an elderly age you might end up paying more premium. The premium for term insurance steeply increases with advancing age. At older ages, say beyond 60 or 65 it becomes difficult to buy term insurance as most insurance companies do not offer it beyond these ages. No surrender values or loans are available under term policies. Wealth creation is not possible through term insurance as they are pure insurance plans without any investment benefits. Is term insurance plan best for you? Yes if you fall under the following criteria’s / situation. Your income is less while your future needs and liabilities are more. Term plans are cheaper. If you have taken a home loan. If you are very uncertain about the future be it your job or business or even healthwise. If you are good with your investments. If you invest regularly in Mutual funds, SIP’s, or even direct investment in equities then your wealth creation part is taken care and term plan takes care of the uncertain future. How much term insurance cover do you really need? Here a small evaluation would be required by you. This is just a general approximation. Individual needs do vary. Check out our calculator – how much insurance cover do you really need? Calculate your current monthly expense (each and every expense including your EMI’s and credit card bills). Then multiply it by 12. Multiply with the number of years you will retire. Calculate your total liabilities. Outstanding (o/s) credit card bill, o/s home loans, o/s personal loans, etc. For example, say Rs 25 lakh. 1.35 crores + 25 lakh + 30 lakh – 15 lakh = 1.75 crore. Note this is just one way to calculate the required sum assured. Will soon be writing a post on best term plans available in India. Ulip is also good I think. Insurance and mutual fund will help in better future. Term plan is pure insurance. While ulip is a hybrid insurance plan, mixture of both investment and insurance. Next post: 31 Days to improve your financial life – Are you ready for a change? Previous post: Mistakes people make while investing in stocks & Is investing Gambling?